HUNTINGTON, W.Va. – Maurice Cooley, director of the Center for African American Students at Marshall University for the past 11 years, has been named associate vice president for intercultural affairs, university President Stephen J. Kopp announced today. Cooley assumes his new position Friday, Jan. 17. Intercultural affairs is the new name for the former office of multicultural affairs and now reports to the division of academic affairs. Cooley is a two-time graduate of Marshall University. He graduated from MU with a bachelor’s degree in Sociology in 1970, then served three years active duty in the U.S. Army as a psychology specialist. He returned to Marshall and earned his Master of Arts degree in Counseling in 1975. Before joining Marshall in January 2003, Cooley was employed for more than 25 years at Prestera Center for Mental Health, where he was a clinician, psychotherapist, program director, and served as a divorce custody mediator with the local family law court. Kopp praised Cooley for his job performance at Marshall the past 11 years. Cooley said he wants to create plans to increase the underrepresented minority students at the university, and work with international students who now live on campus. Ultimately, Cooley said, when the international students and non-international students from Marshall complete their journeys in school and go off to work in professional work settings across the country and the world, they will take with them knowledge gained in the Marshall experience, which includes having had the experience here of living, learning, working and socializing and learning from students from around the world. The former office of multicultural affairs, Cooley said, has been “carefully redesigned to where it moves the role of the university to more of a current age of what we must do to prepare our students for global change. The change of the name reflects the change in the vision¸” he said. The support services and the vision for the development and growth of African and African American students will remain intact, Cooley said. He will continue to direct the Center for African American students and all the related programs as well as the Marshall University Society of Black Scholars. At the same time, he will integrate the Center for African American Student concepts into the overall intercultural concepts. · He is a founding member, and still serves on the Cabell-Wayne County Health Science and Technology Academy (HSTA) local governing board. · He has been, since 2008, a member of the MU-HSTA Summer Institute, serving as summer staff director and on the planning team. · He is the director of the annual Outstanding Black High School Student Weekend and Scholars Initiative. · He created and directed programs and individualized interventions that led to the following recognition – Marshall received national recognition in 2010 for being among the top 26 rated public universities in the United States, when comparing African American student graduation rates with Caucasian student graduating rates. · He is 2003 founder and director of the highly acclaimed Marshall University Society of Black Scholars. · He is redesign director of the prestigious annual Donning of the Kente celebration. · He is chair of the annual Diversity Breakfast. 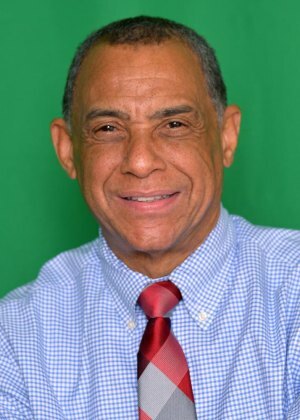 · He is founder and director of the Black Alumni Connections Network.